The 1982 Corvette was the last of the C3 Corvettes that was widely produced. There was also a 1982 Collector Edition Corvette built “as needed” to satisfy customer orders. As well as the last of the C3 model, it was the first Corvette fitted with a new, revised engine and transmission. These fourth-generation parts in a third-generation body made the 1982 Corvette a test for new technology. David McLellan, the Chief Engineer for Corvette, called this model a harbinger of things to come, meant to give customers a hint of the driving capabilities of the new model. When the 1982 Corvette was released, enthusiasts were waiting for the new generation of cars. Although this car was still registered as C3 Chevrolet Corvette, it, in fact, split the difference between the two generations. 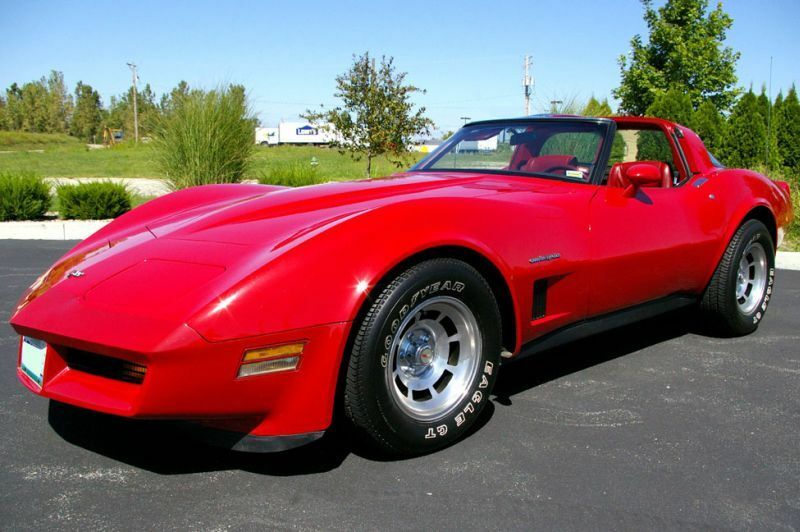 The basic body structure of the 1982 Corvette came from the 1968 model, and its chassis model can be dated back to 1963. The most notable cosmetic alteration was the addition of Cross-Fire Injection labels above the front fender vents, and the option to use a silver and burgundy two-tone paint option. The new engine was almost identical to the 350 cubic-inch V-8 that Corvettes had used since the 1950s, but it now came with a twin throttle-body fuel injection system instead of a carburetor. Improved Computer Command Control (CCC) electronics governed the duration of injector openings. Unlike earlier versions of this system, which could only make ten adjustments per second, the version of CCC used in the 1982 Corvette could make up to eighty adjustments per second. The delivery system was called Cross-Fire Injection. This Corvette synchronized the transmission and Engine Control Module (ECM), which was an incredibly advanced setup for the time. The model also added a fuel metering system which prevented engine run-on by including a positive fuel cutoff. The engine also “breathed” better than previous models. This was due to a change in the filtering and exhaust system. Another mechanical change was the addition of an in-tank electric fuel pump. There were 25,407 of this model built in 1982. Chevrolet released a final commemorative “Collectors Edition” model in 1982 to celebrate the third generation of Corvettes as it drew to a close. It was decided that this 1982 Collector Edition model would only be built per customer orders. Each vehicle had a unique identification plate, which helped deter people from turning a standard model into a fake Collector Edition. The vehicles featured silver-beige paint, multivaned wheels, leather-wrap steering wheel, glass tinted bronze on the roof panels, and a rear glass window for easier storage access. This rear hatch is found in fourth-generation Corvettes. All of the 1982 Corvettes had a four-speed automatic transmission. There was no manual gearbox available, although every Corvette built since 1955 had offered this option. The transmission and ECM worked in tandem to an impressive level for the time. However, the lack of choices did not help this car’s popularity. The 1982 model is still a sports car. Even with the high curb weight on this car, it could still gain speed quickly and maintain high levels of speed. The powerful engine it boasted certainly helped it. High power was increased by the Cross-Fire Fuel Injection system. It had not been used in any Corvette for 17 years. This car could drive a quarter mile in 16.1 seconds, accelerating from 0 to 60 miles per hour in 7.9 seconds. One of the 1982 Corvette’s defining characteristics was the quartz console clocks. These quartz units had the word “QUARTZ” printed on the face. The 1980 and 1981 Corvettes also had console mounted clocks. However, they were not quartz units, making this a unique characteristic to this model. The Base Corvette Sport Coupe can be sold retail at $18,290.07. However, there are a number of modifications to this base that can add several hundred dollars to this base price. These included power driver seat ($197), power door locks ($155), rear window defogger ($129), two-tone paint ($428), and cruise control ($165). There are also versions with no radio, which lowers the price by $124. For radiator core support and Corvette radiator support brackets, Eckler’s Corvette will be very helpful. They work to help maintain the cooling system of all models of Corvette. Volunteer Vette Products provides parts and help with working on this model. CorvetteStoreOnline offer a good deal of parts, as well as some advice before you proceed with any repairs. CorvetteCentral provides a swap-meet like atmosphere, and have information about restoring the body shape of your Corvette. The Corvette originally came with the following two-tone paint options: Silver Metallic/Dark Claret Metallic, Silver Blue Metallic/Dark Blue Metallic, Silver Metallic/ Charcoal Metallic, White/Silver Metallic. To bring the car back to the 80s, you can copy these colors. Alternatively, one can put a more modern spin on the coloring of this Corvette. The 1982 Corvette was built under Chief Engineer David McLellan. McLellan improved the overweight models of the 1970s and began to focus on helping road races win in Corvettes. He believed that this would help prove the Corvette’s power. As an end to the third generation of Corvettes, the 1982 model left respectfully. The new engine gave enthusiasts a taste of what was to come in 1984, and provided an increase in speed and drivability. Although this model did not offer manual gear shifts, the four-speed automatic aids in handling on curves and twists. The Collectors Edition and Base 1982 model are fondly remembered by many devotees of this sports car. What are some of your favorite memories of the 1982 Corvette? Were you sorry to see any of the features of this generation end?